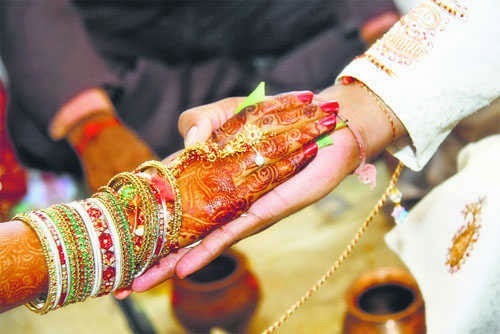 Wedding is that auspicious event that marks a new beginning rather than a new chapter of life. Two people who plan to unite and stay together tie the pious nuptial knot. This special day is all that a couple dreams about and all that they can’t stop worrying about. And though they might not think about it but disasters can strike the wedding. Only you know how important it is to ensure the happiness and satisfaction on this big day of yours. To avoid major bloopers on this day, opting for wedding insurance is catching on. Now the question that might pop up in your mind is that what exactly a wedding insurance will do to you, from a sudden cancellation to stolen gifts, wedding insurance helps protect you against the unforeseen circumstances, and also can afford you great peace of mind. Basically, wedding insurance protects a couple’s investment from circumstances beyond their control, and reimburses the expenses that they incur on it. For example, what if the reception space goes out of business a month before the wedding and you lose all your deposits and have to book another space, what if your designer wedding dress is lost in airport baggage and you have to buy a new one a day before your wedding? These are the types of big day financial losses that wedding insurance can help to protect. Coming to the point of premiums, wedding policies come at a very meagre premium. There also may be a provision for taking wedding insurance only for selected items. The compensation for wedding insurance comprises expenses, securities and advances based on actuals. The loss of property is calculated on actuals and perils. Subsidiary marriage functions can also be a part of the policy. To clear a wedding insurance, it is essential to give a proper break-up of items. For example, if there is damage to some property then amount lost, sets, other charges and every such things should be mentioned very clearly. Another question that might come out of wedding insurance query could be whether a unique situation wherein the bride or groom changing mind at the venue of wedding would be covered or not, the answer for which is that insurers call it a cold feet issue and thereby it will not be covered then. Our big fat Indian wedding calls for lot of investment and in such a situation if any mishap takes place then it is going to take the whole event on a toll and therefore it is essential that you transfer your risk to the insurers and indulge into the madness of the wedding season that is approaching. The author is senior vice-president & Head GI, Bajaj Capital Ltd.